Baeksang is considered one of the 3 major movie and TV awards in Korea. Congratulations to all the winners. Actor Kim Seung Woo and Bae Doo Na were both cast in the SBS drama series 'How to Meet a Perfect Neighbor,' performing together again after four years. Kim Seung Woo and Bae Doo Na who appeared together in the 2003 KBS drama series 'Rosemary' with Yoo Ho Jeong will once again play the role of lovers as a former host and clumsy secretary. 'How to Meet a Perfect Neighbor' draws the story of four people who reside in corporate housing of an automotive company. The series has also gathered attention for featuring illustrator and comic creator Park Kwang Soo, his first time acting, along with Park Shi Hoo, Son Hyun Joo, Kim Roi Ha, Ahn Seon Young, Park Won Sook, and others. Bae Doo Na formerly starred in the movie 'The Host' and in the cable series 'Someday' broadcasted on OCN. 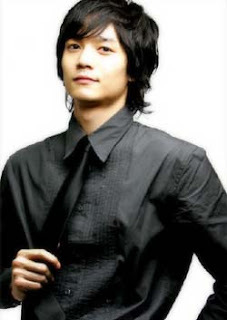 Korean pop singer Rain has been named one of the world's most beautiful people by an American entertainment magazine. Rain, who is currently on a world tour, was selected by People magazine for its annual roundup of the world's 100 most beautiful people. The list will be published in this Friday's edition with Hollywood star Drew Barrymore on the cover. According to Rain's management company JYP Entertainment, Rain is one of just seven non-Americans on the list. 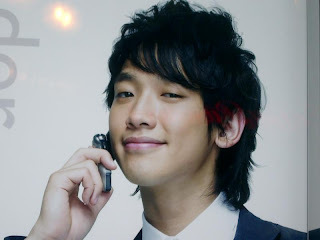 The company said that Rain spoke with the magazine on the phone last month for a half-page article about him to accompany the list. Rain was selected last year as one of the world's 100 most influential people by Time magazine, but it's his first time on the "most beautiful" list. Last year Ursula Mayes, a Korean-American model working in the U.S., was included on the beautiful list. In 2003 the Ahn Trio, a three-sister classical music act, became the first Koreans selected for the honor. 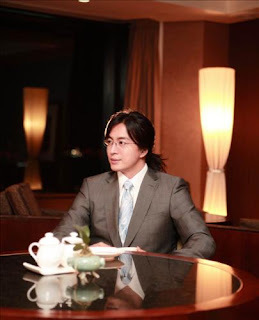 Photos of Bae Yong Joon in the scenes of the Japanese remake of 'Hotelier' were revealed. At the filming that took place on the first at Lotte Hotel in Seoul, Bae Yong Joon had his hair tied neatly wearing a clean suit. Most of the lines exchanged between the main characters Ueto Aya and Tanabe Seiichi and Bae Yong Joon were in Korean. The Japanese remake of 'Hotelier' will start airing on April 19th through Japan's Asahi TV. Bae Yong Joon is guest appearing in the upcoming version as Shin Dong Hyuk from the original series. Bae Yong Joon commented, "'Hotelier' which was also loved in Korea has great meaning to me. I was happy to hear that it is the first drama being remade in Japan and am glad and thankful to have the opportunity to participate in the series." Bae Yong Joon will be starring in 'The Legend' which is scheduled to air in May. The blockbuster drama "Winter Sonata," credited for the Korean Hallyu boom in Japan, will be aired at a movie theater at Tokyo's Nakano Sun Plaza on May 6 & 7. The event will include a talk show with actor Jeong Dong-hwan and actress Song Ok-suk--who played the father and mother, respectively--of the male lead "Junsang," played by Bae Yong-jun. Pianist Lee Ji-soo, who helped with the drama's original soundtrack, will also perform along with a mini concert given by Seo Jin-young, who sang the theme for "Summer Scent," another of producer Yoon Seok-ho's four season-themed drama series. Actor Ji Jin Hee has been cast in the series 'Cain and Abel' and will be co-starring So Ji Sub. Ji Jin Hee's agency SidusHQ commented on the 17th, "Ji Jin Hee will be returning to the TV screen through 'Cain and Abel,' two years since the series 'Spring Days.'" 'Cain and Abel' which has gathered the spotlight as So Ji Sub's first piece after his discharge this month is about two brothers who are separated in their youth but are reunited later as a detective and killer. So Ji Sub will play the killer Jin that is raised by the Mafia in the U.S.
'Cain and Abel' which will be filmed on location in San Francisco prior to its airing is a blockbuster with a budget of 6 billion won. The broadcaster has not yet been determined but the series will start filming towards the end of May without a projected 70% to be completed upon its first airing date. Actor Kim Seung Woo has been cast for the 20 episode SBS drama series 'How to Meet a Perfect Neighbor' which is scheduled to be aired in July as the main male lead character. 'How to Meet a Perfect Neighbor' is set in a corporate housing facility and draws the story of the people. The main characters are a former host, a successor of a major conglomerate, a lawyer, and a secretary that always causes trouble. The producers commented, "We will point out the reality of the 'Cinderella complex' of women while the main characters each find the true meaning of love." Kim Seung Woo will be playing the host Baek Soo Chan. He has nothing in his hands but lives a life under the belief that he will become the man any woman who sits next to him wants. However, his belief is questioned when he starts to realize true love. The series is planning on shooting scenes in Cambodia and will start filming at the end of May. 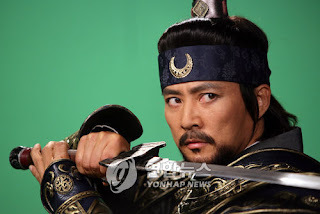 This will be Kim Seung Woo's return to the TV screen in 1 year and 5 months after appearing in movies. The KBS drama "Mawang," currently airing in Korea, will soon be shown in Japan, targeting fans of the earlier hit Korean series "Resurrection." Mawang's production agency Olive 9 said the drama will air on the cable channel So-net TV from October and that the drama's film set will soon be unveiled to Japanese viewers. Japan's interest in Mawang is largely due to the Korean drama Resurrection, which is currently airing on Tokyo MXTV every Wednesday night. So-net TV had aired it last September and will begin reruns next month. 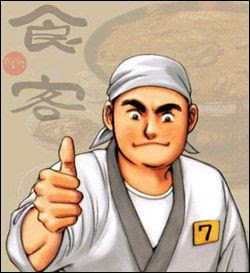 An Olive 9 official said Resurrection is very popular in Japan, citing its airing on multiple Japanese channels including FBC Fukuoka TV and Hokkaido TV. The two dramas are by the same director and writing staff. TV actor Hyun Bin, who rose to stardom through the TV drama “My Name is Kim Samsoon” in 2005, will fly to Japan to promote his drama “Snow Queen,” which finished airing in Korea last January. Produced by Yoon’s Color, a production company founded by director Yoon Seok-ho of “Winter Sonata” and “Spring Waltz” fame, and written by the writers of “Winter Sonata,” “Snow Queen” will be aired every Thursday on channel 12 in Tokyo starting May 10th. Hyun first visited Japan last November to promote “A Millionaire’s First Love” in which he had his first starring role in a film. At the time, some 1,500 fans welcomed him at the airport to show their support for the new Hallyu star. Some nine thousand tickets to the Korea Day event in Japan that this year includes fan meetings of actor Seo Do-young, known for his role in the TV drama "Spring Waltz," were sold out in just an hour. Shortly after news about Seo's fan meetings broke out, three thousand tickets to each of the three events that will be held in three Japanese cities--Tokyo, Osaka and Fukuoka--sold out on April 6 by 10 a.m., after going on sale just an hour earlier. An official from the Korea National Tourism Organization said that top hallyu stars have participated in the annual Korea Day event every year, and that the organizers of the event have been flooded with phone calls asking about ticket reservations. Seo will hold mini-fan meetings in Tokyo April 18, in Osaka April 20 and in Fukuoka April 23. Yoon's Color, the production firm of "Spring Waltz," said Japanese viewers looked forward to seeing the drama because it is the first production of director Yook Seok-ho to air in Japan since his first drama from the Four Seasons series, "Winter Sonata," was introduced in the country. In this drama, Eunhye will be a saleslady 'Go Eun-chan' of the Coffee Shop, who used to be a master of Teakwondo. In this drama, she will be a matriarch with masculine charms. Eunhye will show her tough charm as a 'Young Girl warrior'. who is the boss of the coffee shop that she works at. With a foolish mother and the need to look after her younger sister, flower boy Go Eun Chan has had to give up the feminine image. It's a love story with Choi Han Kyul, who knows women well and thinks of himself as a great guy. 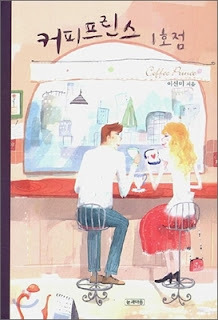 After accidentally being mistaken for a man, she starts working at Coffee Prince, and falls in love with the hot-tempered owner Choi Han Kyul. But Choi Han Kyul thinks she's a man, and furthermore doesn't believe in love. So she can't confess that she's a woman, and he continues thinking that the agonized Go Eun Chan is a man. Choi Han Kyul thinks he's experiencing feelings of homosexuality towards her, and gets heartsick laugh.gif . This side of him was drawn in a risky but fun way. The part when he discovers that Go Eun Chan is a woman is shown in an undemanding way, and the story doesn't concentrate on just these two people, but also on the other people who frequent Coffee Prince. These people are shown one by one in a natural way, and since the story isn't just about romance, I think that if you're able to read the first volume, then you'll naturally be able to read the rest of the volumes until the end. Should a soap opera writer avoid cliché? Can he? The Chosun Ilbo asked seven top Korean drama writers about the rules for skirting -- and embracing -- the obvious. 1. You can show beautiful scenery from the rooftop. Since the late 1990s, more protagonists have been poor and live in rooftop shacks. In reality, most people who are too poor to afford a decent home live in the basement, and the number of rooftop homes is declining as hillside villages disappear from cities. But rooftop homes are visually appealing. You can’t move the camera around much in the basement, but from the rooftop there is some fine scenery to be shown. Filming is going to start in late May. Song Seung Hun and the script writer Jung Hyung Soo will collaborate in the drama “City of Gods ” scheduled to be aired by SBS in July. Originally, the writer of the drama was Oh Soo Yun , who wrote for SSH’s earlier “drama Autumn Tales”, and the broadcasting was scheduled in March. Due to the withdraw of Oh Soo Yun, the production company “Poibos ” decides to invite Jung Hyung Soo, who wrote for famous dramas “Joo Mong” and “Da Mo”, to be the script writer. The filming of this drama is scheduled in May in overseas locations. The KBS drama series recorded a 29.7% viewer rating on the 25th, the best since it began airing. The average being around 25%, the ratings have risen and are looking forward to breaking the 30% point. It is advancing past the SBS series 'Yeongaesomoon' which rated at20.7%, and is ranked third amongst the overall programs broadcasted throughout the week at 25.5%. The story which is leading into its climax and the end of 'Jumong' along with the rival program 'White Tower' which aired in the same time slot seems to provide reason or the rising in ratings. Meanwhile, KBS drama series have been marking the top of viewer rating charts after the MBC series 'Jumong' ended. According to the weekly ranking provided by AGB Neilson Research, the KBS daily drama series 'By Land and Sky' ranked first with 30.4% followed by the KBS series 'Blissful Woman' at 27.2%. With 'Dae Jo Young' at third, the top three ratings were of KBS. MBC which has been constantly topping the ranks had 'Bad Woman, Good Woman' ranked 5th with 19.9% and the new series 'H.I.T.' ranked 9th with 17.3%. As most prime time series have started simultaneously, it is forecasted that the lead of KBS continue with no clear stronghold in terms of viewer ratings. 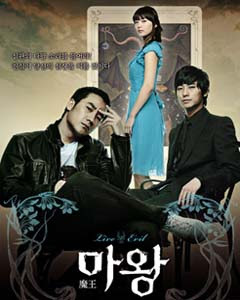 Bae Yong Joon filmed the scenes for the Japanese remake of 'Hotelier' on the first at Lotte Hotel in Sogong-dong, Seoul. The filming started at 1pm with the leads Ueto Aya and Seichi Tanabe. Bae Yong Joon appeared in a suit with his long hair grown for 'The Legend' tied back neatly. 'Hotelier' which will start airing on Asahi TV on the 19th is the remake of the which aired inKorea. It is the first case a Korean series Korean drama is remade in Japan and Bae Yong Joon is appearing as a special guest as the main actor of the original series. 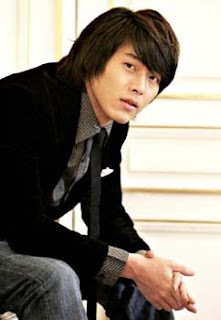 The role Shin Dong Hyuk who is an M&A specialist will guide the two main characters based on his experience. The series has been gathering attention in Japan with the guest appearance of Bae Yong Joon along with the idol star Ueto Aya. As there was great interest in the filming schedule, the agencyBOF took special care in keeping the location and schedule undisclosed. 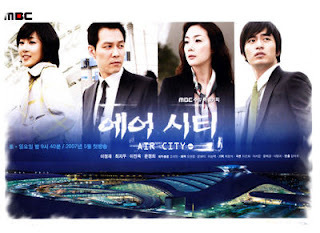 Bae Yong Joon came to Seoul from 'The Legend' set on Jeju Island and will return on the 2nd. The original 'Hotelier' aired on Japan's MXTV in 2003 and Nihon TV in 2004.